Strong winds may have been a factor in the avalanche that killed a skier near Moose Pass earlier this month, according to a report released Thursday by the Chugach National Forest Avalanche Information Center. Anchorage resident Jeffrey Cheng, 33, was backcountry skiing with two friends in the area of the Crescent Lake Saddle Cabin on March 9 when an avalanche carried him down a tree-laden slope, burying him in about 6 feet of snow. 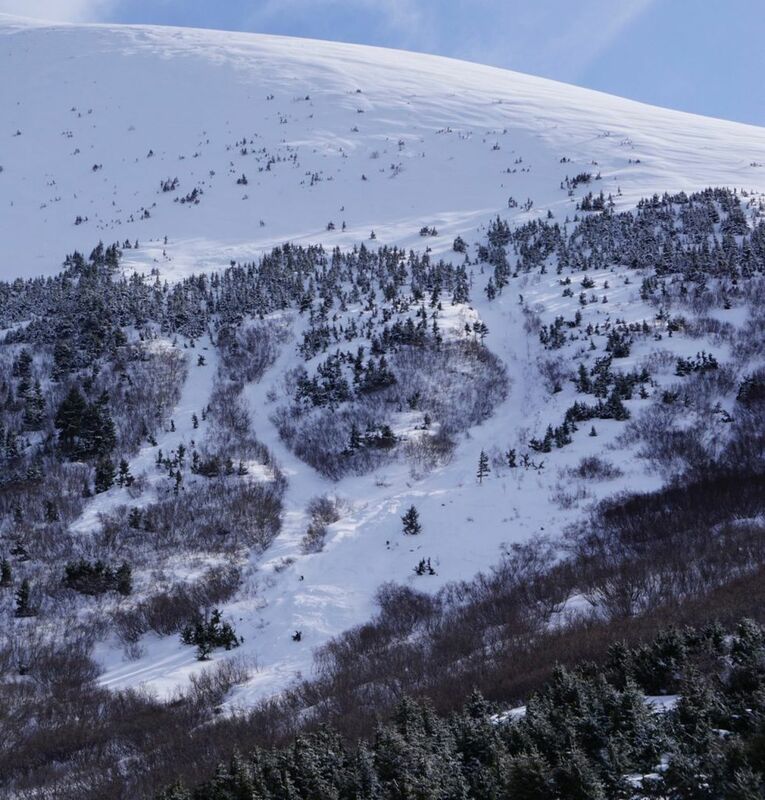 The three men, who were on a two-night cabin trip and had skied together many times before, had chosen to travel that day only in low-angle terrain because of “stormy weather and known avalanche danger,” according to the report. They had reportedly planned earlier to ski above the treeline but scrapped that plan because the risk was too high. The way the avalanche forecasters tell it, the three men — who were not named in the report — were riding a second lap on a northwest-facing slope off the shoulder of Madson Mountain when one of Cheng’s friends, a snowboarder, saw a crack open next to him and the entire slope release to his right. The snowboarder, who wasn’t caught in the avalanche, called out “slide” to his companions and saw Cheng “washed down the slope," according to the report. The third member of their group, a skier, managed to hold on to a tree while three waves of avalanche debris washed over his head and pulled off his skis, breaking them. After the slide passed, the snowboarder spotted a ski pole sticking out of the snow below him and picked up a signal from Cheng’s beacon. It took about 10 minutes to dig out enough snow to uncover Cheng’s face, but by that time, Cheng was unresponsive. It took another 20 minutes to dig him out completely, the report said. The two survivors performed CPR on Cheng for half an hour after extracting him but found no signs of life. The snowboarder, who didn’t have cell service at the accident site, traveled for two and a half hours through a blizzard back toward the trailhead before he was able to call 911. While the area where the men were skiing doesn’t have its own specific avalanche forecast, the men had reportedly read the prior day’s forecast for nearby Turnagain Pass. It had listed the danger as “considerable,” but the men had not seen any signs of instability while they were skiing to the cabin or on their first lap on March 9, the report said. They told avalanche forecasters, though, that the wind had picked up drastically between their first and second laps, so much that they had to brace themselves against the gusts. The ridgetop weather station closest to the site of the March 9 slide recorded sustained winds exceeding 40 mph and gusts reaching the 80s. The remote area that the men were skiing in is located east of the Crescent Lake Saddle Cabin, about 7 miles from the Carter Lake Trailhead at Mile 34 of the Seward Highway. The avalanche occurred on a slope with an angle of about 35 degrees, forecasters said. Reflecting on the slide, the two survivors told avalanche forecasters that their group had been “committed” to going on the trip regardless of weather conditions because they had reserved the cabin. After the previous day’s avalanche forecast indicated it might be too dangerous to ski the steeper terrain they planned on, the group tried to mitigate their risk by focusing on mellower treed terrain, forecasters said. All three men had avalanche survival gear with them, and two had been formally trained in avalanche safety.